For eleven days, my hubby and I took a trip of a lifetime – a cycling trip through parts of the Loire Valley and a couple of days in Paris. So many wonderful moments and memories. 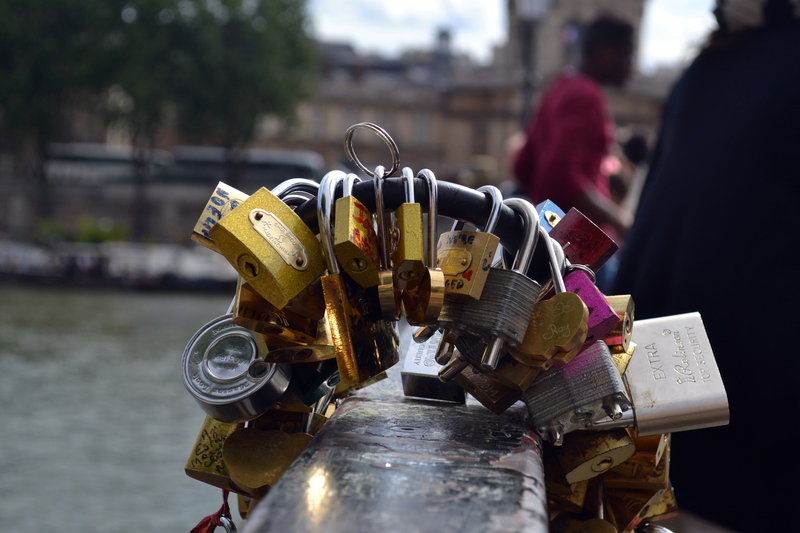 One of the interesting spots we came across was the Pont des Arts bridge in Paris. Apparently the weight of the locks is compromising the integrity of bridge. 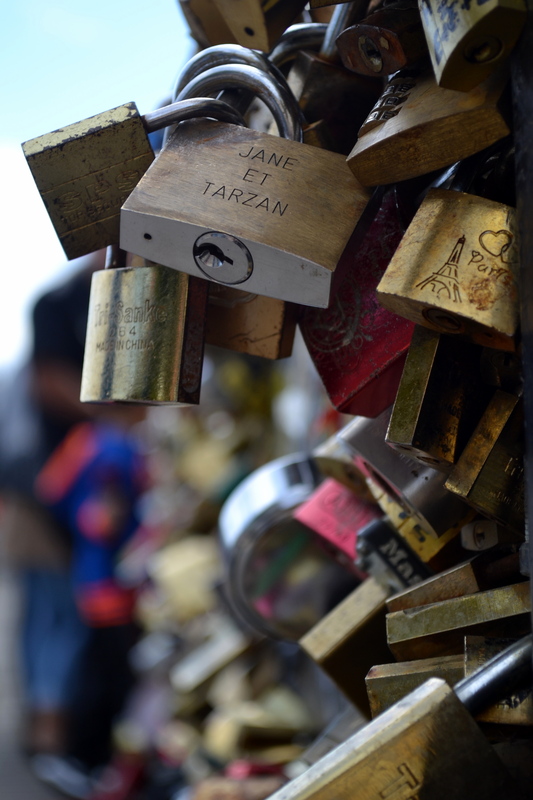 It’s a challenge, in the city of love, to ask people not to demonstrate their love through this symbolic action. Like much of Paris, the enormity of this site is hard to put into words. 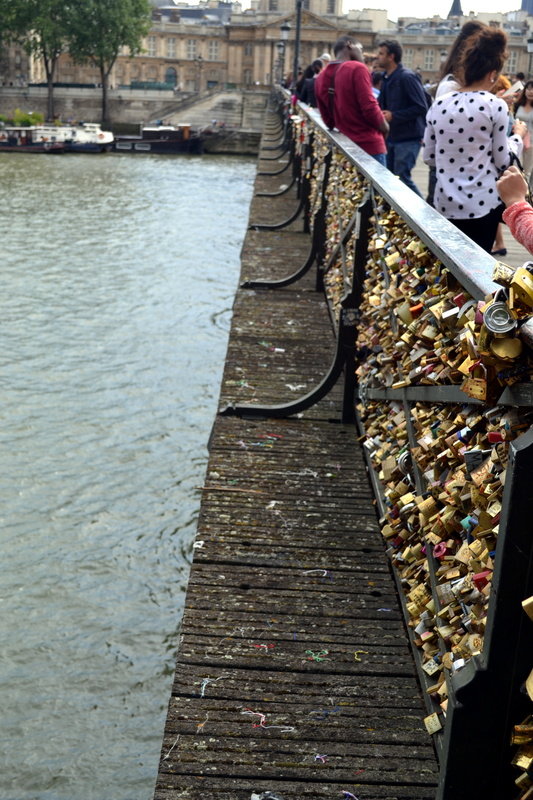 We have seen the phenomenon of the ‘love locks’ in several different European countries over recent years. Your photos are well done, it’s not easy to get a good shot of them. Glad you enjoyed your trip! The site doesn’t need words…your photos do it beautifully!